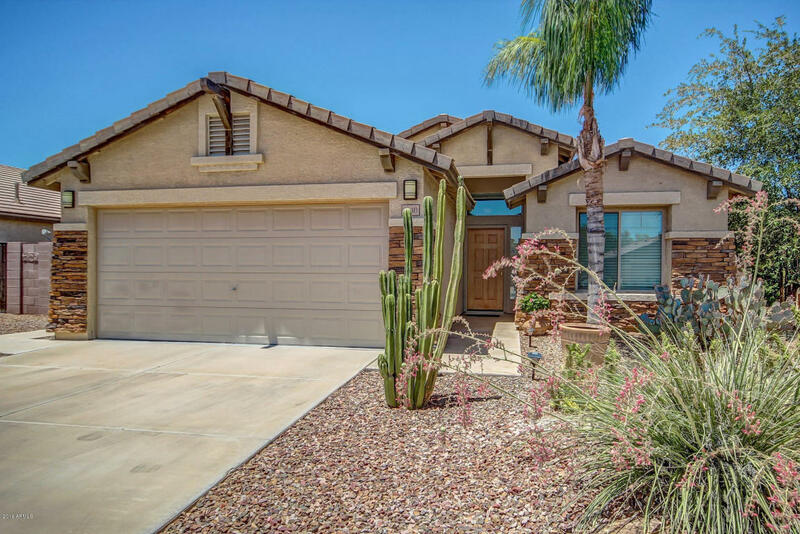 Fantastic home in great Chandler location! Soaring ceilings with warm designer paint tones throughout. Eat in kitchen is complete with breakfast bar, granite countertops, center island, a plethora of custom cabinets, and stainless steel appliances. Large master suite with vaulted ceiling and ceiling fan, plush carpet with sliding glass doors to backyard. Full spa like bathroom with double sink vanity and separate soaking tub+ shower. Spacious walk in closet! Resort style backyard features a covered patio with HEATED sparkling pool + spa, and custom wall mural. Separate laundry room and finished garage with built-ins and work space. Lovingly maintained and cared for, this home is sure to go quick so come see it today!